Our final workshop included children and young people of ages between 15 and 22 from both the VN Naik and Fulton Schools for the Deaf. Both schools are situated on the outskirts of Durban, KwaZulu Natal. We began with an exercise of using still photography to capture images representing what is considered being good and bad about being deaf. Through their images, the students freely demonstrated clear and consistent themes such as isolation and persecution but also a deep pride in standing together as a deaf community. 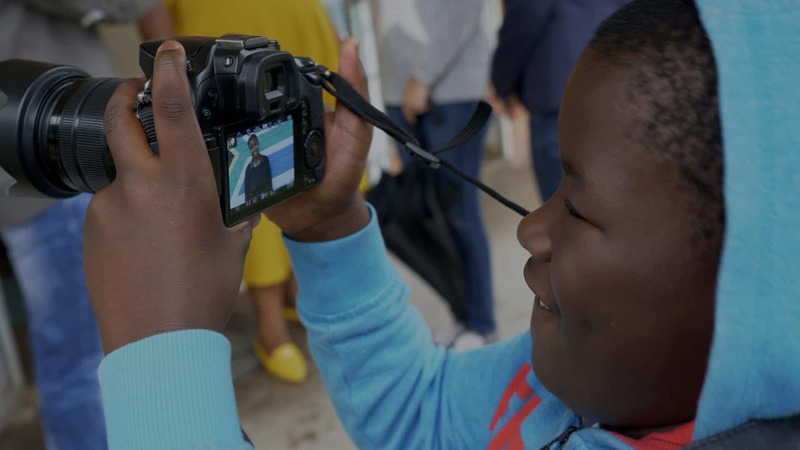 The students were also tasked with taking one another’s portraits with manual focus and then learned filming techniques through interviewing one another and creating short films about everyday activities. Once the foundations of filmmaking had been established, the students formed groups and were challenged with the undertaking of creating films, each with a different theme: Exploring Futures, Communication, Community and Being deaf in a hearing world. The results were exceptional! The work that the students produced showed a clarity of understanding of what they had learnt, innovative application of their new skills and creative thinking. The students displayed leadership, teamwork, self-discipline and an excellent work ethic. The films are showcased here.